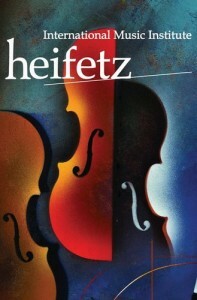 Sunday afternoon I attended a special benefit concert in support of a scholarship fund for the Heifetz International Music Institute. The Institute, which provides an amazing six weeks of training for brilliant young violinists, violists, and cellists, also sponsors an outstanding concert series given by those students and their world-class faculty. But today was all about the piano, and two remarkable pianists (who happen to be married to each other) performed a breathtaking program that they have called “Keyboard Journeys” because the pieces they chose cover several combinations: solo piano, four-handers, and pieces for two pianos. First, Yury Shadrin played Schubert’s Fantasie in C Major, D. 760 (“Wanderer”). I’m no judge of these things, but I have to believe Shadrin when he says it is one of the most difficult pieces ever written. (Even Schubert himself couldn’t play it, but Shadrin was just amazing.) Then Shadrin played another Schubert piece, this time joined by Tian Lu on the same piano (Fantasie in F minor for piano four-hands, D. 940). After the intermission, Tian Lu played a Chopin Sonata and they finished with Ravel’s La Valse, M.7, transcription for two pianos, one of the most sensual pieces I’ve ever seen/heard. What a great way to spend a Sunday afternoon. Besides the music, I saw lots of friends I’ve gotten to know through the Institute’s concerts. If you’re so inclined to support the scholarship fund for this great program, go here.